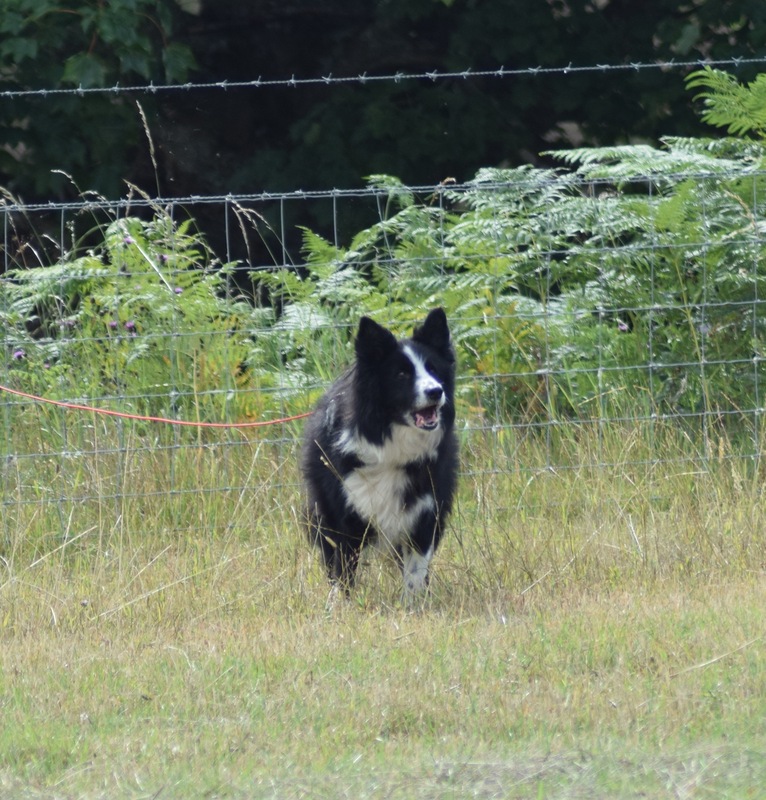 Ballogie Estate have been staunch supporters of The Aboyne Sheepdog Trials for many years and on Sunday July 22nd, competitors, judges and spectators enjoyed a perfect day! The ground crew arrived early on the Sunday morning to set up the tent, whilst this year's Judge, Mr Alec Smith from Blairgowrie, ably supported by his wife Alison, inspected the course. Satisfied that it met the requirements for a qualifying event, he signalled the first competitor, Mosse Magnusson to begin. Each handler had ten minutes to get their dog to herd four sheep through a series of gates and into a pen, and then finally split the sheep into two pairs. This proved a little tricky this year as the sheep were somewhat frisky and the dogs had to be strong willed to achieve their aim. The earlier competitors seemed to have an easier time of it as the sun heated the large park by the river to 30 degrees with hardly any shade, and dogs, sheep and humans alike needed a copious intake of water. It's not often in Aberdeenshire that we complain that it's too hot, but Sunday was one of those occasions. Lunch was served around 12 o'clock and everyone took a well deserved breather, before their second run in the afternoon. Shannon Conn, from N. Ireland scooped first prize with an impressive score of 82, with Ian Wilkie second and Sandy McCulloch third. Prizes were handed out, and the grand raffle completed another successful event with everyone agreeing that it was a great day out. The committee stated that "As always, we are deeply grateful to Ballogie for generously loaning the park, facilities and of course the sheep. It is their continued support that makes the whole event possible"